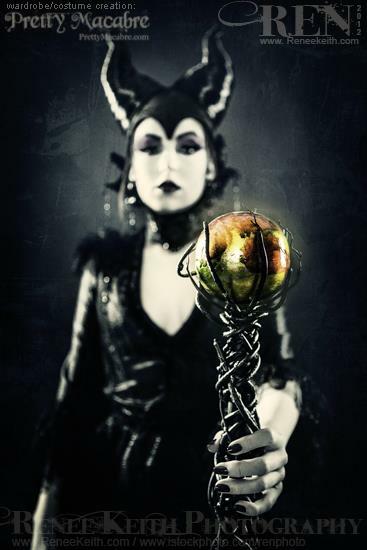 Viewed as the most powerful and sinister of the Disney Villains, Maleficent is the embodiment of evil!!! So of course this would be a character that I would love to recreate!! I was so excited when Julianna Janae Clay contacted me to custom make this for her Halloween costume!! 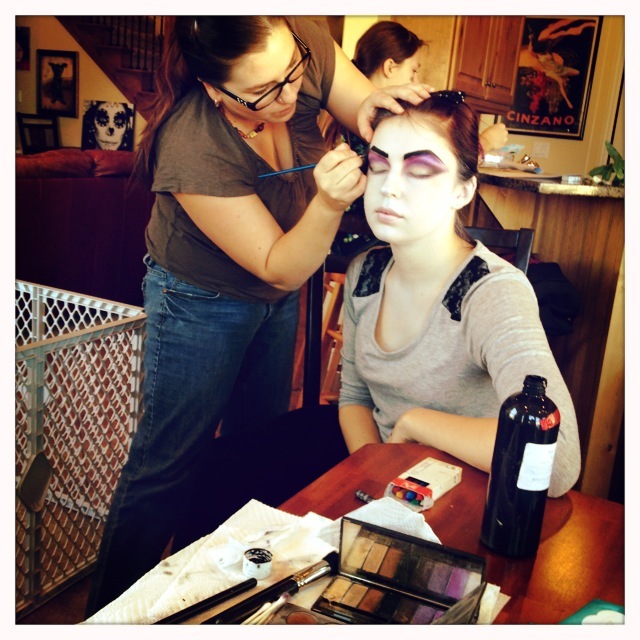 When constructing this… I really wanted to bring a regal elegance to her! I constructed the headpiece using a wire base, than paper mache to give it a little more structure. 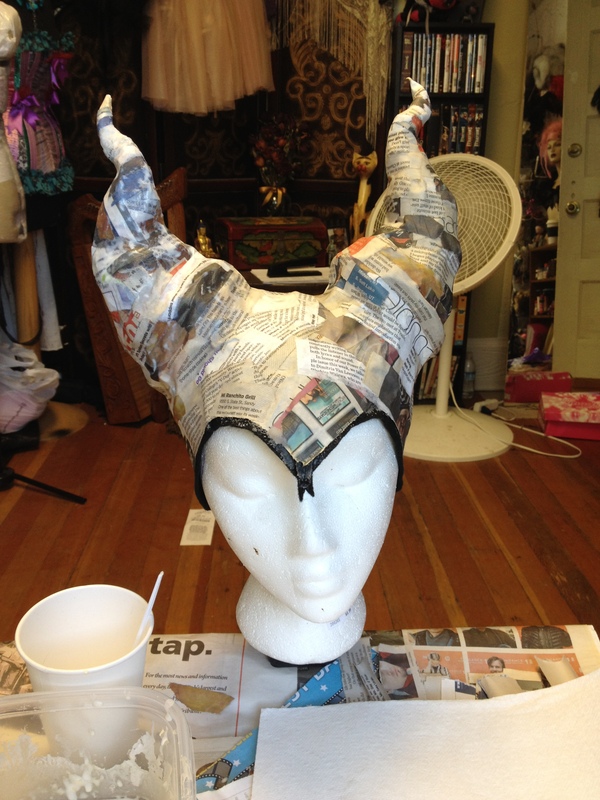 Covering the base of the headpiece with fabric and a braided trim…I used hair to sculpt around the horns giving them a nice shine with little texture! I made a separate neck piece which I adorned with a little hand beading and some gorgeous black beaded appliques! 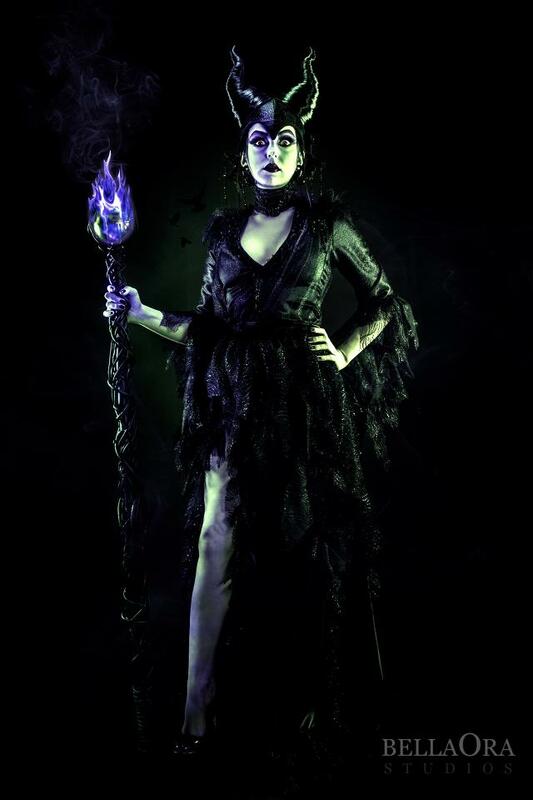 The gown is made of black satin with an overlay of black sparkle mesh which is ruffled along all the edges of the four triangular tiers and up the leg slit. Embellished with beaded appliques and dangles along the shoulders. 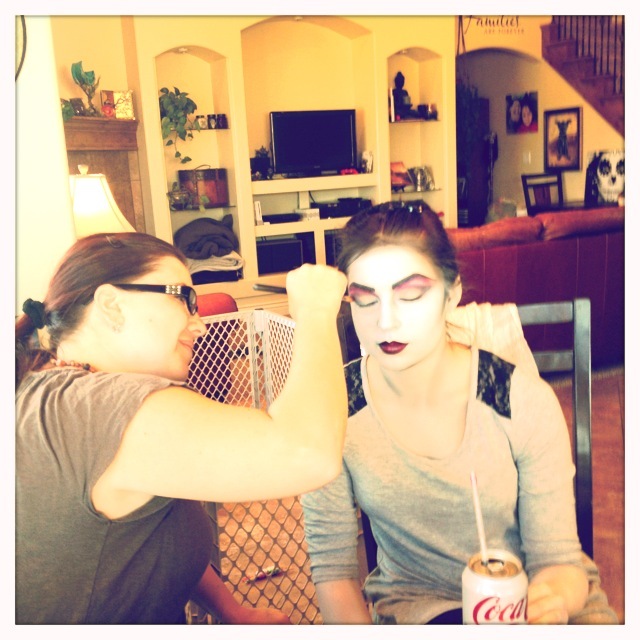 Then the shoot!! It was amazing 🙂 Here are some of the final edits and BTS!! Hope you enjoy!! 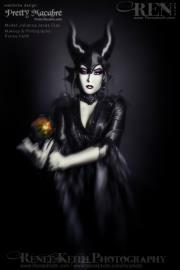 Come check out Maleficent on the runway featured at An October Evening Oct 20th 650 East South Temple SLC, UT! Could you make another headdress/neck/staff for a price? Going to a big Halloween party and this is the closest I have found to what I want?